This is my take on a calliper knurling tool. I made it from bits in my scrap box. The adjuster arms I made from a stainless steel cupboard handle for instance. The only things I never made on it are the small patterned knurling wheels which were manufactured by QUICK and the three screws holding down the keep plate (although I did dress and polish the heads on the screws). 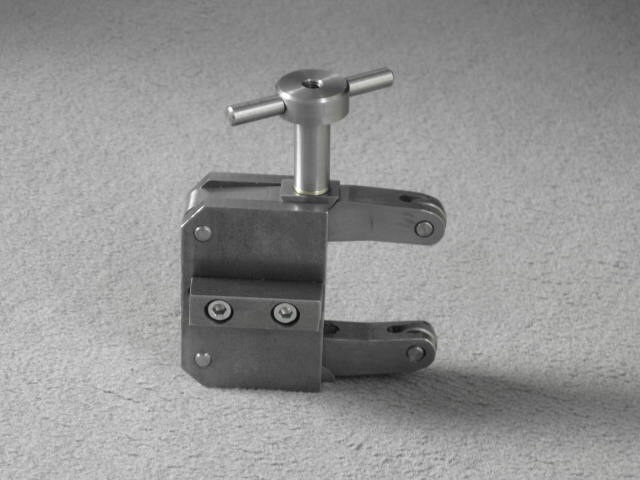 This version of a knurling tool is based on a design which was originally manufactured by a company called MARLCO and is considered to be the Rolls Royce of knurling tools. For a small lathe - mine is a WARCO WM250 VF - this is a hefty tool at nearly 7" long and weighing one kilo but it cuts the mustard big time. 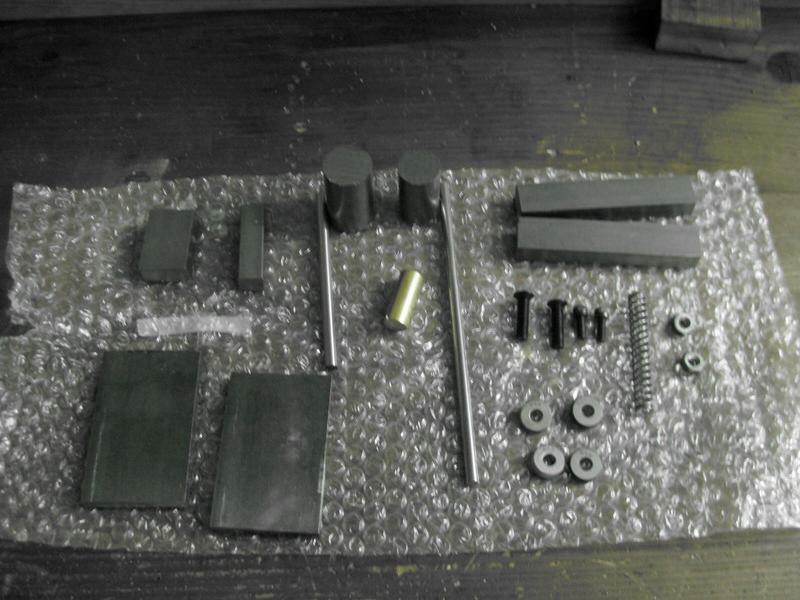 I have included a photo of a knurl that the tool formed on a steel bar. Nice work ! Looks good with very clean lines. Your photos should have something in there to give an idea of size. Those knurls look tiny. I absolutely agree with Neotech that's a sleek design. i just completed one myself otherwise i would build this one myself. If you cant fix it, get another hobby. I based my version on an article and drawings by Graham Meek in "Engineering in Miniature" volume 35 - No.5 published in UK November 2013. The Far East one I bought was very wobbly in use so I decided something more solid was needed. Not my design, just copied from others I'd seen. Arbalist, Your knurling tool puts my effort to shame. I've marked mine for "Must try harder !" Thanks, main thing is it works well enough. I would prefer to go to cut knurling but it's a bit pricey for something I don't need to do very often! Turn off the TV - life ain't replayed ! There is NO vira in the MSI-file ! Me too, I only use OSX or IOS. I too Wonder ... what "Scary eyes"
Ha, ha ... I think the nose is much more scary ... and the holes in it ... imaging if you should give "First Aid" by "mouth thru nose"-method ... THAT would be scary, I think ! Ok ! I promise not to look next time. Mind if I ask a silly question? 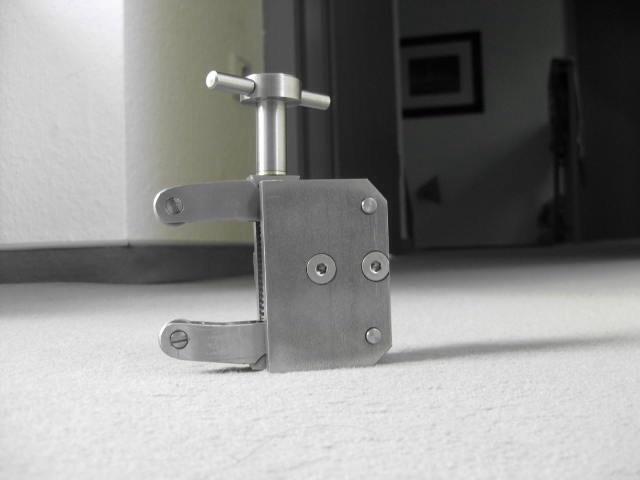 Last time I did knurling was at school (quite a while back) I now wish to create a straight knurl pattern and have a clamp type holder similar in style to the ones above. When creating a diamond pattern its necessary to have a pair of opposite wheels to create the diamond. Whats required for the straight knurl, 2 of the same or a pattern wheel and a blank/plain dummy wheel for the opposing side? Two straight ones will do it. Two straight ones will do a diamond pattern as well if you mount the tool at 45 degrees. Common sense is unfortunately not as common as its name suggests. That reminds me of the tool I' ve build. Stock and drawings came from Hemingwaykits.